How to use Google Analytics to review detailed reports for your website? There are countless web tools available out there that you must consider using as an online marketer. Whether you are a blogger or you have a business website, you must take into account using Google Analytics to get detailed analysis reports for your site. Google analytics can be your best partner in understanding the current situation of your website. 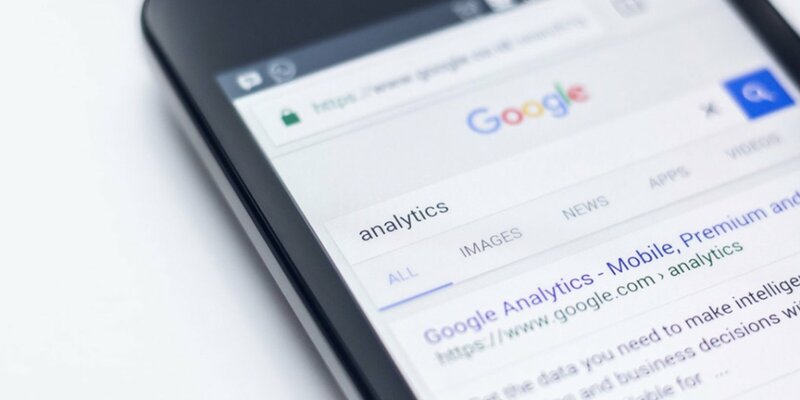 There are multiple benefits that you can receive if you are using Google analytics and it also provides you a right way of improving your plans for your business. If you have a business website, and you are trying to enhance your business plans, then there are various things that you will have to focus on your site in Google analytics. If you have not used Google Analytics in the past, then it is time for you to start using this fantastic web tool to get all the information you need. It surely is an ultimate tool to take care of your online business, and it has multiple features that will allow you to improve the SEO ranking of your website. Let’s have a better look at the things that you should be focusing on while using Google analytics. When you are using Google Analytics, you will be able to see the complete summary of the public visiting your website. If you are trying to find a way to get detailed analysis report, then you should check out the audience overview section of the Google Analytics. When you visit the Google analytics, then the first thing that you will be able to see is the Audience Overview. It will give you the analysis of the last 30 days, and you will be able to check the graph of the visitors visiting your website. The figures are further divided into seven other sections that you can see to get a bright idea of the things. At first, you will be able to see the sessions. Sessions are explained as the number of times people are visiting your website. If a single individual is visiting your site for the multiple times, then it will show numerous sessions. The next thing will be users. If you would like to know the number of users was visiting your website, then it will give you the excellent results, and you will be able to learn about the number of visitors visiting your site. The next graph is for page views. Page views are the number of times your web pages are getting visited. Another section that you will be able to see is the page session that will display the average no of page views per session. Another famous graph that you will see is the Bounce Rate. If you are not sure what it is, then it is the rate of the sessions ending immediately after a visit. If someone is visiting your website, and leaving it quickly, then it will be recorded in bounce rate. Having high bounce rate is not a good sign. The other thing to look for is the percentage of new sessions. This section will explain you the number of new sessions happening on your website. It will help you know about the new visitors coming to your website. Another great feature of Google Analytics is to identify the source of the traffic coming to your website. If you are checking out the Acquisition Overview, then you will be able to know the origin of the traffic. It will let you know where the visitors are coming from. Moreover, this particular section is further divided into multiple other sections including Direct, Social, Referral, and Organic. Let us take a look at each section and how it will help you analyze your website. In the Direct section, you will be able to see the visitors who have visited your website by typing your website URL in the browser. These are the guests who are familiar with your site and knows the URL and is continuously visiting your website. The next section is Organic in which you will be able to see the visitors who are visiting your website through the search engines. These are the visitors who have visited your website by typing a particular query in the search engine and then get redirected to your website through the search results. It is the kind of traffic which is crucial for the webmasters. As the name suggests, the referrals are the visitors who are visiting your website on another internet site. If your site is linked to a blog post on another website, and the visitors are visiting through that referral link, then the Google Analytics will display it in the referrals. Social traffic is the traffic coming to your website through different social media platforms. It is also another important source of traffic, and it is probably the second best source of traffic for all the webmasters. If you are running campaigns on social media and you are receiving the traffic, then it will show up in this section. Behavior overview is an excellent way to know what your visitors are up to. If you want to know about the progress of your web pages and posts, then it is the section that is going to help you accurately. In this section, you will be able to know the behavior of your audience so you can check the pages which are visited by the most people. If you want to improve your website and posts, this is the section that you should always pay close attention. There is no doubt that the Google analytics is the best way to analyze your website correctly. It will help you improve your content, and it will help you know what your visitors like on your site. If you want to getter better search engine ranking and reputation of your business, then you must make use of Google analytics correctly.